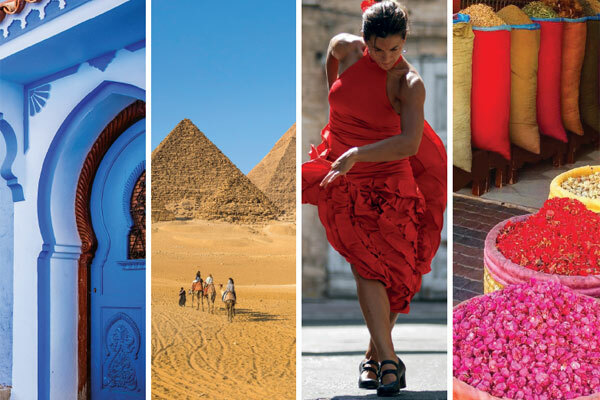 As the summer season coincides with peak travel time, Insight Vacations is encouraging travel agents to book their clients on journeys that will reawaken the senses in Spain, Portugal, Morocco or the Eastern Mediterranean (Egypt, Jordan, Israel & Turkey). The new incentive campaign called “A Summer for Adventure” highlights the destinations that offer the greatest thrill for the senses – clients can taste their way through the heart and soul of San Sebastien’s Old Town and enjoy the gastronomic Basque tradition of pintxos, or listen to the bustling sounds of the famous Jemaa el-Fnaa Square in Marrakesh while adventuring through the medina. Agents can book four or more guests to any destination from April to May 31 and receive a Swarovski bracelet. As a special offer, a $50 optional experience voucher is available for clients who escape to Spain, Portugal, Morocco or the Eastern Mediterranean. Samples itineraries: Best of Morocco, 10 days; Israel Discovery and Jordan Experience with Dead Sea, 16 days; Best of Spain & Portugal, 15 days.